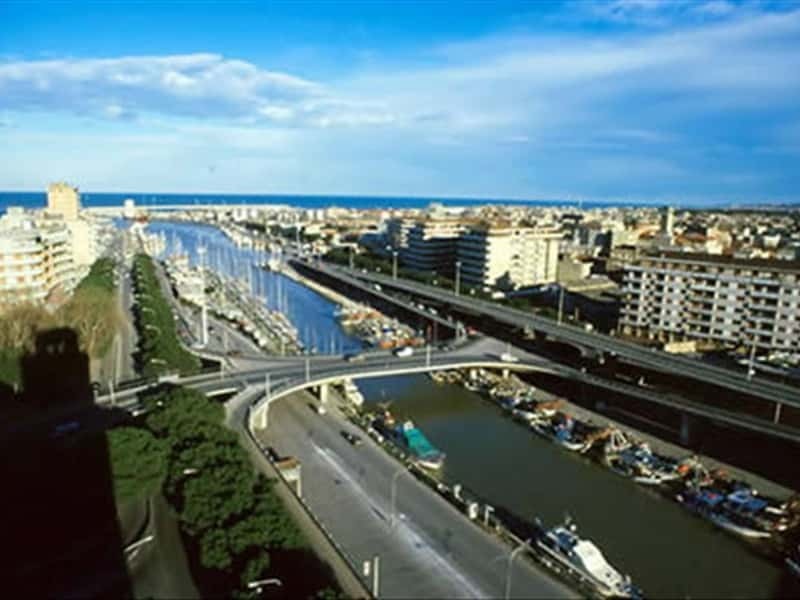 Pescara is a modern city that faces on the Adriatic Sea and is divided by the river with its same name. It became a city in 1926 and main city of its own province in 1927, thanks to the merge into one of the two towns Pescara and Castellammare Adriatico. The history reports that this fusion was supported by one of Pescara's most famous citizens: Gabriele D'Annunzio. Excavations in its territory have evidenced interesting archeological traces: a Neolithic village near Colle Orlando, dated back approx. 6000 years, and exhibits from the Colle del Telegrafo (skeletons, tomb stones, clay pottery, iron and copper utensils and tools of the IV century b.C.). On the shores of the river traces of a large settlement "Aternum" or "Vicus Aterni" have been found. This settlement, at the time of the Roman Empire, was named "Ostia Aterni", a naval emporium for the people of Vestine, Marrucine, Peligne e Frentane, and an important commercial centre connected to the ports of Dalmate on the other side of the Adriatic Sea. Destroyed by the Longobardi, it was quickly rebuilt in order to re-establish the commercial routes. In the Middle Ages, due to the great number fishing activities the city was called "Piscaria", name that over the ages was changed into the actual Pescara. The city is of recent construction as from the edifying dates of most of the important buildings. Built in the Thirties, the Cathedral of San Cetteo, patron Saint of the city, is also famous as the Tempio della Concilazione, where the Lateran Accords between the State of Italy and the Holy See were established. The project is an artwork of the architect Cesare Bazzani and the façade, built in white stone, features three portals with the same amount of rose windows. It preserves the monumental tomb of Luisa D'Annunzio, mother of the famous poet of the '900. The Basilica della Madonna dei sette dolori, instead, was built in the XVII century in honour a series of miraculous apparitions. Palazzo Michetti is a splendid example of Liberty style, whilst the Government Palace is of the early years of '900. Gabriele D'Annunzio's home, part of the Family's property since '800 and a national monument since 1927, today is a museum. A walkthrough display of D'Annunzio's life between photos, history panels and objects of the poet and his Family. This town web page has been visited 32,962 times.